Our family has been going to Walt Disney World for years. Our son, who is now 15, “enjoyed” his first trip when he was only 6 months old. And by enjoyed we mean he was pushed around like a prince in a stroller with a wet cloth on his head to keep him cool. My wife and I have visited many times as children, and now as adults we frequent the Florida parks as often as possible. We’ve also sailed on five Disney Cruise Line cruises over the years and loved them all. Back in 1998, we bought into Disney Vacation Club and claim Disney’s Old Key West Resort as our home resort. Even after staying at many of the other resorts on property and in Hilton Head, Old Key West is still our favorite. It is our home away from home. That being said, we’ve been discussing for a long time trekking out to the West Coast to visit the park that started it all, at the Disneyland Resort. I’ve been to California a few times on business, but we’ve never been there for a family vacation. Last year we finally decided that it was time to plan our long-awaited trip. I was fortunate enough to reserve a one bedroom at The Villas at Disney’s Grand Californian Hotel & Spa using our DVC points. It was a challenge getting the dates we wanted for a studio, but the one-bedroom option was available so we grabbed it. As we were planning our trip, we watched and listened to much of the Disneyland content that The DIS and DIS Unplugged produces. The information was invaluable and helped set our expectations. We had decided that for the first few days of our trip we would stay in the Hollywood area and do a variety of touristy things there before heading down to Disneyland. Let’s talk about our actual trip now! We flew into LAX early on a Saturday morning. From Saturday to Monday, we stayed at the Best Western Plus Sunset Plaza Hotel. We highly recommend the hotel. The location was great and it offered a complimentary buffet breakfast complete with both hot and cold food options. During our time in Hollywood, we took a few tours, visited some movie studios, hiked up to Griffith Park, drove to the Santa Monica Pier and just explored the area in general. Living in a suburban area of Connecticut, it was a bit of a culture change for us. We enjoyed our visit a lot, but could have lived without the horrendous LA traffic. We highly recommend purchasing the Go Los Angeles Card! It provided us access to a variety of attractions and tours throughout the LA area. 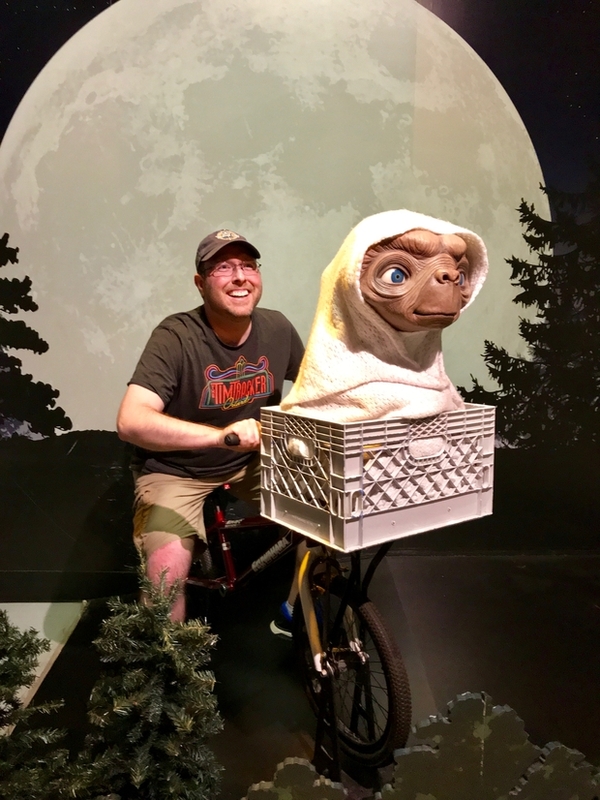 We ordered a 4-day pass at a discount through the Costco website and calculated that, as a family, we saved over $600 using this pass on a variety of attractions including Universal Studios Hollywood. These Go Cards are available for several other cities and we would most definitely look into them for future trips, since they are a great value. Bright and early Tuesday morning we began our drive down the congested LA freeway system to the Disneyland Resort. The arrival wasn’t as glamorous as driving into Walt Disney World and going under the huge Disney World sign with Mickey Mouse welcoming us. Instead, we went straight from the surrounding city right into the resort. First stop was checking into our hotel, the Grand Californian. It is a beautiful location and the lobby was reminiscent of Disney’s Wilderness Lodge. The Disney cast member that checked us in — Linda — was fantastic, friendly and helpful. She truly helped set our visit off on a positive note. 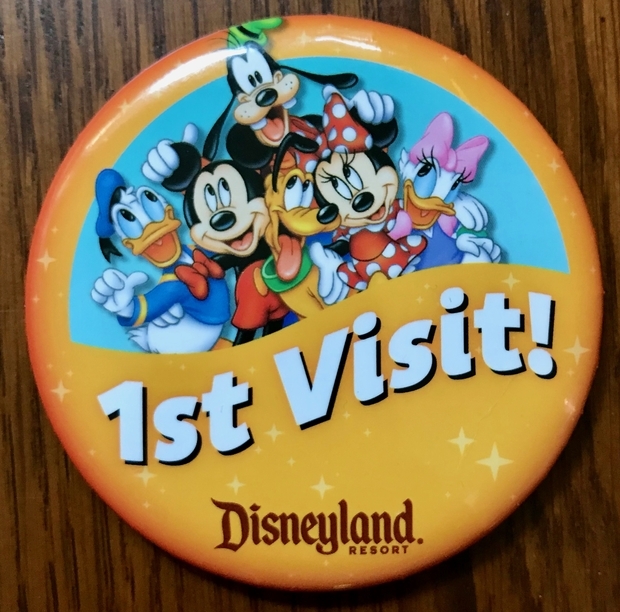 She provided us all with “1st Visit” pins that she said we should wear all the time, because Disney cast members are paid to create magic for people wearing them. Well…more to come on that claim later! Our room wasn’t available just yet since we were there early, so we stored our bags with bell services and decided to visit Disneyland first. My wife and I were expecting that when we walked into Disneyland Park it might be a huge emotional moment for us. After all, this was Walt Disney’s park. Honestly, as we walked through the gates and passed Walt’s apartment there wasn’t any overwhelming rush of emotion or tears. Maybe it was because things felt very hectic and busy that morning that we didn’t have time to feel anything. My first thought when we turned the corner and hit Main Street U.S.A. and saw the castle in person for the first time was, “Wow, it really is small!” but it was the original. Now it was time to begin our adventure. We hadn’t planned on purchasing a MaxPass while we were there, since we had 4 days to visit and figured we had plenty of time to see everything in both parks, but once inside the gates I decided to take the plunge. In fact, we bought them for 3 of our 4 days there. It was TOTALLY worth it! It allowed us to experience many more attractions in much less time and included all of our PhotoPass pictures for those days. I wish Walt Disney World offered this option instead of their annoying reservation system where you need to plan your theme park visit out months ahead of time. The benefits of using MaxPass far outweighed the nominal cost of $10 per person per day. We opted not to get them on our last day since we had seen everything we wanted to, and in some cases multiple times, so we used the last day to just wander around both parks leisurely. Even though we knew that Disneyland would be different than Magic Kingdom, until you experience it in person you can’t appreciate those words. The first day we visited, it was very busy, which is why MaxPass was a huge help. However, everything felt compacted and congested there. It was as if you took the Magic Kingdom and squished it in a compactor to half the size. All of the attractions were so close to one another; while standing at one of them you could usually see into many of the other lands, which at times took away from the theming. The compactness had its benefits though, as it was much faster to get from one land to another. I must say though that the signage in the parks is terrible. Several times we overlooked an attraction, restaurant or restroom because we could not easily locate their signs. I’m sure for a frequent visitor that has been there more than a few times, that’s not an issue at all, but for someone visiting for the very first time we found it very frustrating at times. One huge benefit to the theme parks, Downtown Disney and the Disney hotels all being within close proximity of one another is that everything is within a short walking distance. Although we had rented a car for our entire trip, we didn’t use it at all on Disney property. One of our proudest accomplishments was walking from Fantasmic at Disneyland, which ended around 9:30 PM, all the way to California Adventure to use our FastPasses there for Radiator Springs Racers, which is all the way in the back of the park. We made it there before our FastPasses expired at 10 PM, with time to spare! By far, the food at Disneyland was much better overall than at Disney World — both the quality and uniqueness of options. In our opinion, Disneyland is the clear winner in this department, hands down. 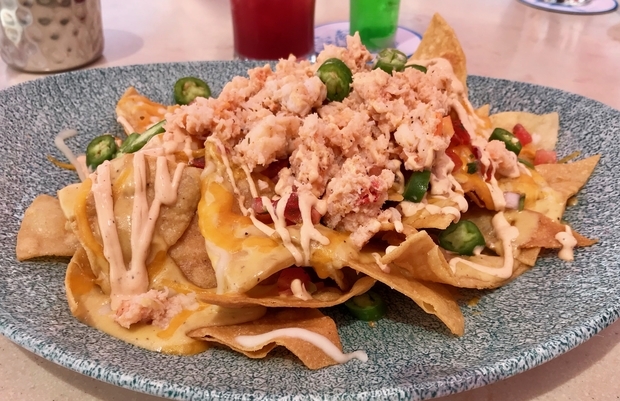 We tried a variety of things ranging from a Dole Whip float, churros, cookies, quick service meals and the famous lobster nachos — which were as good as advertised, although a little pricey. We only ate at one table service restaurant, Café Orleans, and enjoyed the Monte Cristo sandwich there. The service was average at that location but the food was quite tasty. Our family didn’t see the value in eating at table service restaurants, so all of our other meals were at quick service locations in the parks or in Downtown Disney. We didn’t have a bad meal at any of those locations either. It’s hard not to make comparisons of rides and attractions that are similar between Disneyland and Disney World. In many cases we didn’t necessarily feel one ride was better than another, they were just different. There were a few exceptions, but it’s really all subjective so I won’t get into it here. Maybe that could be another article I can write if anyone is interested! However, the Fantasmic show in Disneyland blows the one in Hollywood Studios away. It is a million times better, especially when a full-size pirate ship rides by with Captain Jack and a bunch of pirates fighting on it. Totally awesome. Obviously, Disneyland has a number of attractions that don’t exist in Disney World, and after riding them I wish they would add them there! For the most part, the queue lines in Disneyland tended to be outdoors, which sometimes made things uncomfortable in direct sun. But it wasn’t too bad since the lines generally moved pretty quickly. Before our trip, we heard over and over again how great the cast members in Disneyland are. With the exception of literally a handful of cast members we encountered, for the most part all of the rest were adequately average. There weren’t a lot of smiles or friendly waves. There were plenty of directions to fill in all the available space or to pull on your yellow tab in your ride vehicle. We definitely didn’t run into any rude cast members there, while we’ve seen our share of them in Disney World, for sure. The one magical moment we did encounter was really quite special. I couldn’t tell you the last time we rode the riverboat in the Magic Kingdom. It’s just never a priority for us when we visit there. But we knew the Mark Twain in Disneyland had a lot of history, so we decided to sail on it. While we were waiting in the queue area, the attendant there must have noticed my wife’s 1st Visit pin and started talking to her. After a few minutes, he asked us if we would like to have a VIP experience. Uhhhhh, yes please! 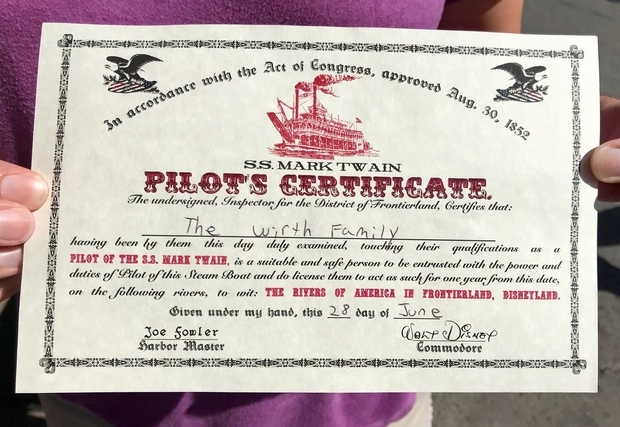 When the Mark Twain pulled up to the dock, he walked our family out to the boat first and took us right up to the top, into the wheelhouse. 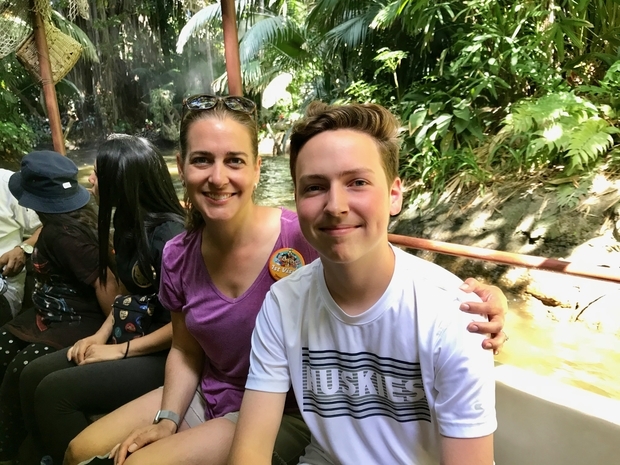 We stood in the footsteps of Walt and got a first-class ride around the Rivers of America. He shared some of the history of the riverboat and other facts about the surrounding area, including some boat sails placed on the top of a building that you could only really see from the very top of the ship, to create the illusion that there were more boats in the port. Our son got to blow the boat’s whistle and we also received our pilot’s license, which was really cool. This was definitely one of the highlights of our trip, and this cast member truly went above and beyond to make our experience special. I created a short video of our experience on the Mark Twain for your viewing pleasure. Another memorable moment was when we discovered the magic shop on Main Street as we were heading out of the park. While there, I made a comment that Steve Martin used to work here and the magician in the shop overheard me. He pulled us over and did a magic trick with our son and gave him a special pin to commemorate the experience. I felt that the overall atmosphere of California Adventure felt more like a Walt Disney World park. It was much more spacious and spread out. 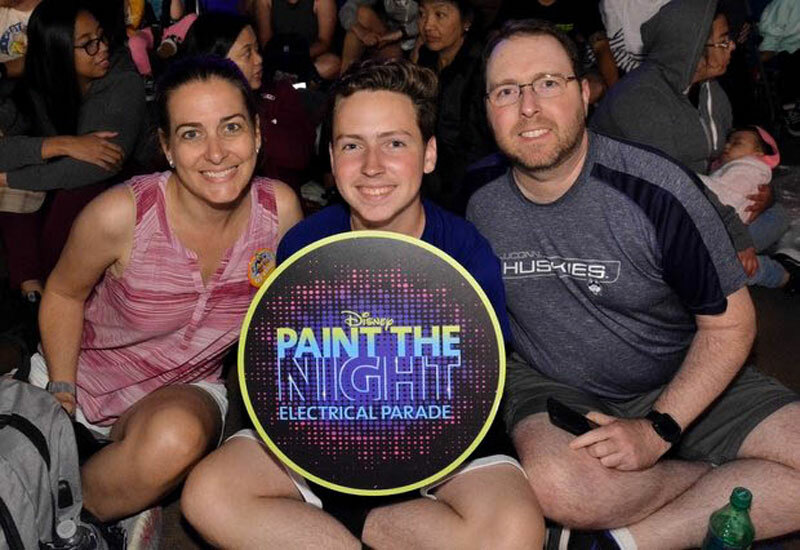 The Paint the Night parade at DCA was one of the best parades I’ve seen in a Disney Park. The floats looked amazing all lit up and the music was enjoyable. I had high expectations for Cars Land after everything I had seen and read about it leading up to our trip. It definitely did not disappoint, especially at night. Disney did a great job of bringing Radiator Springs to life and immersing you in the land. If you had to choose riding Radiator Springs Racers during the day or at night, most definitely do it at night. The lighting makes that whole land look so amazing. Pixar Pier opened a few days before we arrived there, so it was pretty crowded. I hear many of the locals don’t like the new theming much but personally we enjoyed the area, particularly the Incredicoaster. That ride was definitely quite incredible. I’m not sure what the previous version of the coaster was like, but I can’t imagine that it was better than this one. We were very disappointed that the World of Color show was not up and running during our visit. It was supposed to reopen for the debut of Pixar Pier, but the week before our trip it was announced that it wouldn’t be opening until later in the year. That was a bummer since the videos we’ve seen online of it seemed really cool. One of my pet peeves when visiting any Disney theme park is when there are light bulbs not working on buildings or attractions. 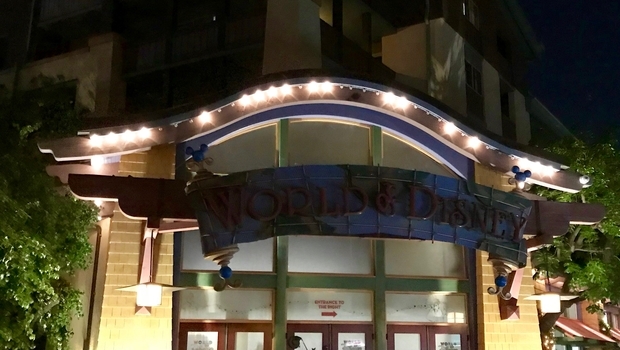 I remember years ago watching a Disney World documentary and the cast members prided themselves on fixing burnt out bulbs every night, so when I walk by a building with as string of bulbs on it and several are not working, it drives me crazy. Change the darn bulbs Disney! Rant over. Our family had a very good vacation in Disneyland. We don’t regret at all flying across the country to experience Walt Disney’s first park. Disney World is still our home park, even though we live up north in Connecticut, but I sure would love to steal some attractions from the Disneyland Resort and drag them over to Florida. If you have never been to Disneyland before, it’s definitely worth taking the trip and experiencing it for yourself!